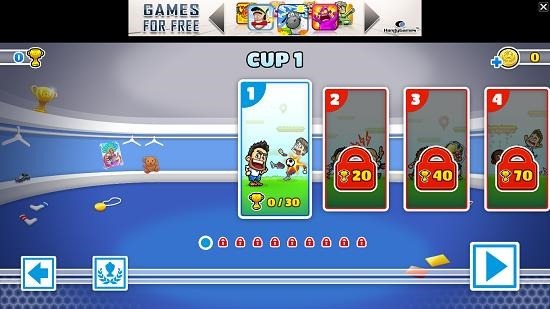 Super Party Sports: Football is a fun football game app for Windows 8 and 8.1 devices. 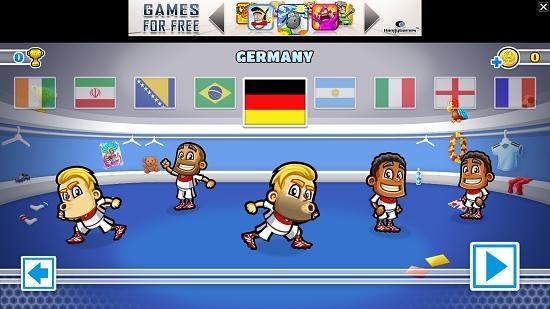 When you run the game on your device, you will be presented with the main screen of the game which allows you to choose the team which you want to play with, the outfit, select the level and then select the stage. Finally when the game loads up, you will be shown helpful tips on your device. 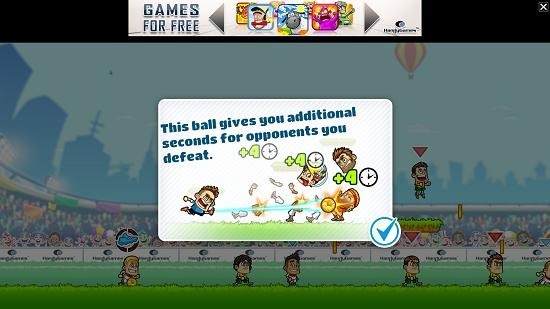 The game is based on shooting the ball by clicking and dragging your mouse around to aim at the players of the opposition team to destroy them and hence gain additional points. 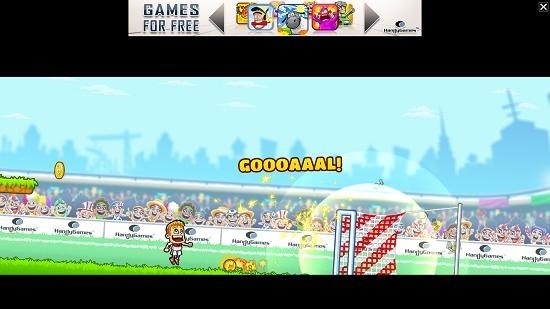 When the ball turns a flaming yellow color, you can shoot it through the goal post to score your goal. 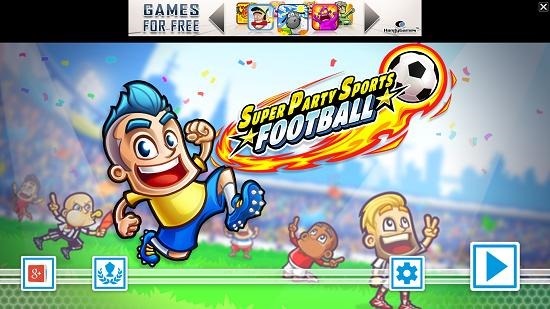 Super Party Sports: Football is available for free from the Windows App Store. Launching the app will present you with the below shown screen. Just click on the Play button and you will be taken to the team selection screen. When you have chosen your team, you will be asked to select the costume, after which you will be asked to choose the level you wish to play. Each level has various sub stages. Clear the levels, and unlock the next ones. When you have chosen a particular stage to start its gameplay, you will be taken to the interface below. Here you will be shown helpful tips. Now, in the gameplay screen you can click and drag your mouse (or touch and drag your finger) to aim and release the click (or your finger) to shoot. 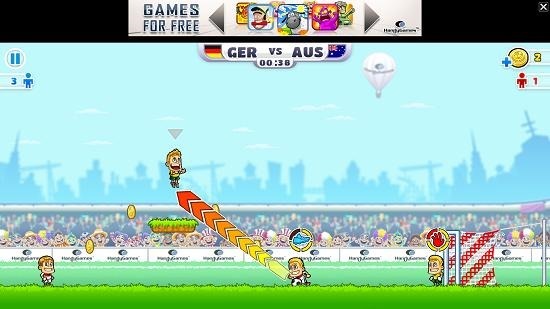 You have to aim and hit the opponent players till your football turns a burning yellow color. Once it turns to a yellow glow, you can shoot it into the goal post and you will definitely score a goal. Once the goal has been scored, you have won the stage. You will now be shown your performance rating as can be seen below. You can then choose to replay the level or progress to the next level. 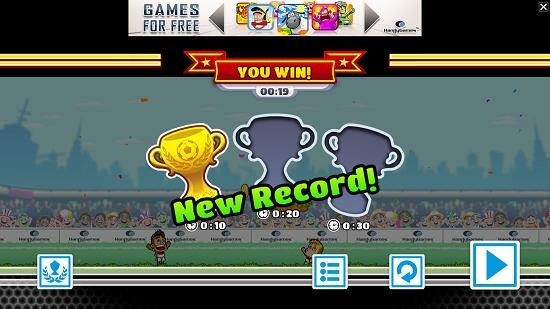 Super Party Sports: Football is a great football game app for Windows 8 and 8.1 which is incredibly fun to play. You may grab it for your device from the link below. Get Super Party Sports: Football.